Real GDP grew at a seasonally adjusted annual rate of 3.0% during the third quarter of 2017, according to the Bureau of Economic Analysis’s “advance” estimate, down slightly from 3.1% in the second quarter. 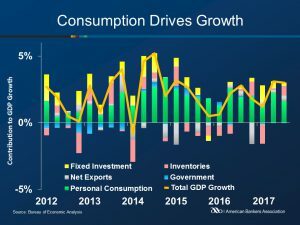 The acceleration in real GDP reflected positive contributions from personal consumption expenditures, nonresidential fixed investment, exports, private inventory investment, and federal government spending. These were partly offset by negative contributions from private residential fixed investment and state and local government spending. The second and third quarters posted the best six-month duration of growth in three years even as two hurricanes slowed momentum. 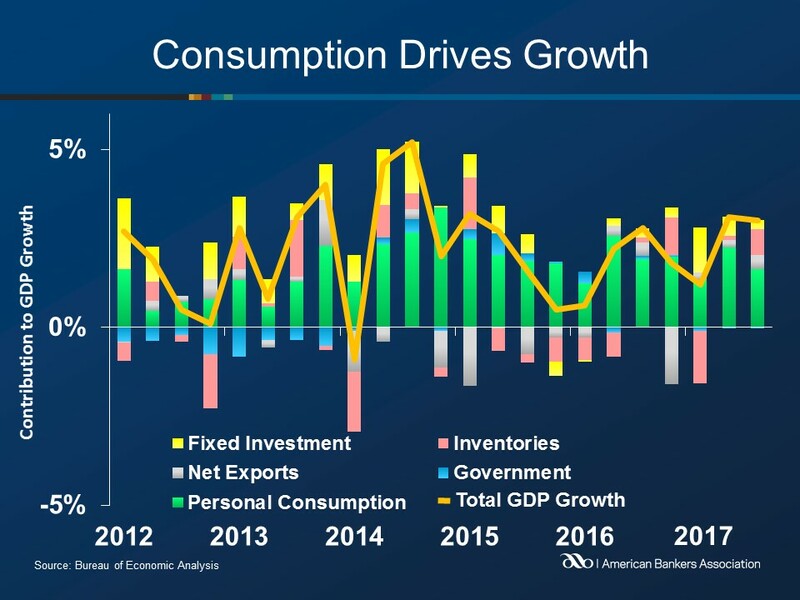 Consumption accounted for 1.6% of the gain, down from 2.2% during the second quarter. Fixed investments remained steady, adding a total of 0.3% to GDP. Inventories contributed 0.7% to GDP, the highest rate since the fourth quarter of 2016. Government spending remained stagnant overall during the quarter. Federal government contributed 0.1% to the GDP increase, but was offset by state and local spending which declined 0.1%. Net exports were positive, adding 0.4% to GDP.